We are located in the Sierra Foothills, in the heart of the Shenandoah Valley, 45 Miles Southeast of Sacramento. Follow CA route 16 to Plymouth. Head east 3.5 miles on county route E-16 [ Shenandoah Road ] to Dickson Road. Turn left for one quarter mile until you see the winery on the right. 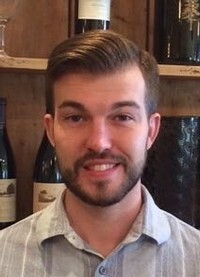 David is a certified sommelier and wine specialist. With a background in hospitality, he and our friendlly staff will make your visit to our Tasting Room fun & educational. We offer 6-8 wines each day for tasting from the Terre Rouge and Easton portfolios. We are open:Thursday-Monday, 11-4pm. Bring a picnic and enjoy our shaded patio, lawn and Pétanque Court. We have a $5 Tasting Fee, credited towards the purchase of a bottle of wine. Grapeheads club members always enjoy complimentary tasting. We have a small Tasting Room and can not accomodate large groups or buses. We accept groups of 12 or less in our private Magnum Room. All Groups of 7 or more must make an appointment. If you have questions, call David Thursday-Monday at: 209.245.4277.